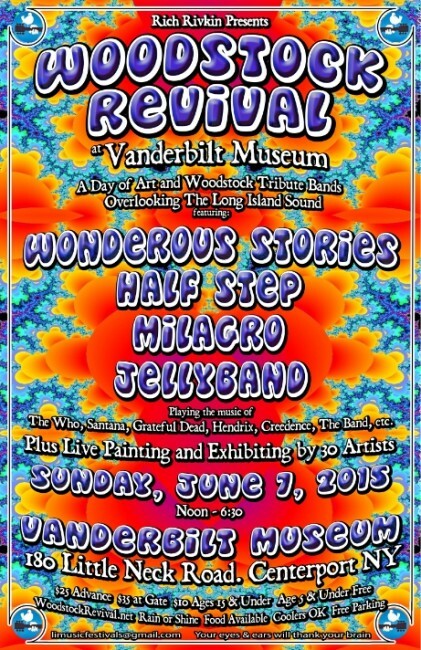 The music of Woodstock once again kicks off the summer at the 46-acre Vanderbilt Museum in Centerport on Sunday, June 7, 2015. The third annual Woodstock Revival will feature regional bands, Wonderous Stories, Half Step, Milagro, and Jellyband, recreating the sounds of The Who, Grateful Dead, Santana, Creedence, CSNY, Hendrix, The Band, and Janis Joplin. The one-day event, produced by Rich Rivkin Presents will also showcase art and sculpture exhibits, plus live painting by dozens of artists, overlooking the Long Island Sound. “One of my favorite parts is the tangible sense of community that has evolved at these events; the warm and friendly vibe, the familiar faces, the iconic music, the diversity of art, the serenity of the space… We get to share a rich cultural experience with each other, in a uniquely fun way”, says festival producer, Rich Rivkin. 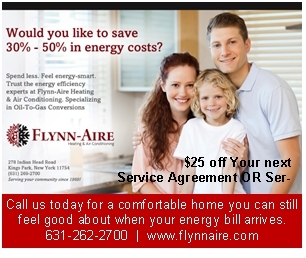 Since 2001, Rivkin has produced more than thirty outdoor music festivals on Long Island, and his multi-event series continues this summer with the Long Island Sound & Art Festival at Northport Village Park, and Grateful Fest at Vanderbilt Museum, in addition to his monthly indoor events that take place all year long. The Paramount and Sammi Hoop return as series sponsors this year, offering free giveaways at each festival. Tickets for Woodstock Revival are available at WoodstockRevival.net, and Rich Rivkin’s full calendar of events is posted at limusicfestivals.com, along with information for artists interested in participating.